Hi friends! Today I'm going to be sharing a very exciting project that I recently did in our guest bedroom, which is this DIY pendant light that I made for $40, say what!? If you're stopping by today as part of the #chixwithtools series, then welcome to this little blog of mine, I'm so glad to have you here! As part of the series, I will be both sharing my tutorial but also talking about one of my most favorite (non-power) tools, which is the MITER BOX. It might be small, but it's oh so mighty! Happy Wednesday everyone! Today I'm switching things up a little and am so excited to be having Lindsey West from @BluffParksDesign on the blog today to share with you an amazing DIY project that she's done in her home as part of our #ChixWithTools series! Take it away Lindsey! Hi friends! Thank you so much for stopping by and joining in on this fun little DIY! 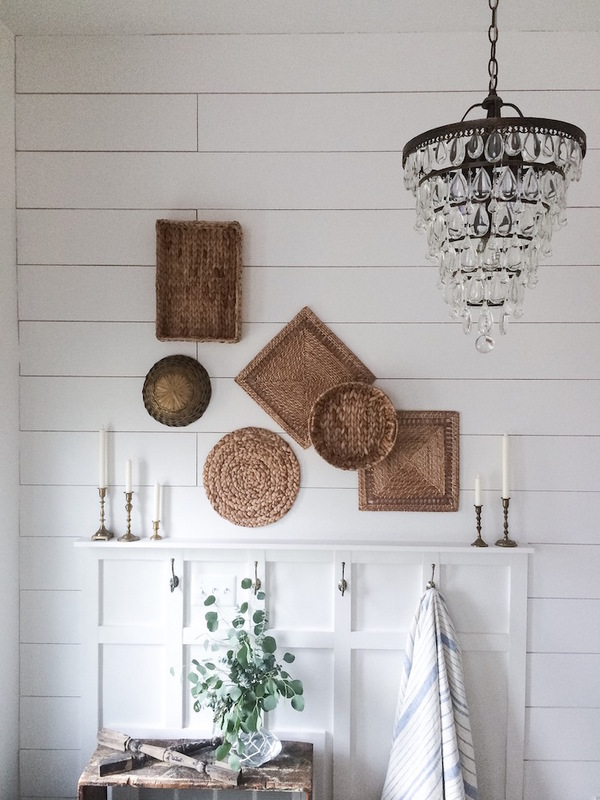 As we all know shiplap is HUGE in the interior design and decorating world! So what better way to kick start our #ChixWithTools series than with a shiplap tutorial! I'm almost certain I would line the inside of my toilet with this stuff if it would work! I could be a trendsetter right? Let me start by saying.... I am obsessed with tearing stuff up, pretending like I know what I'm doing and anything DIY! I'm not an expert but I am a perfectionist! I can tell you what works for our home but most importantly what works for our budget! While I dream of the day original shiplap covers every square inch of our home. For now, I will gladly make plywood the next best thing! You guys!! 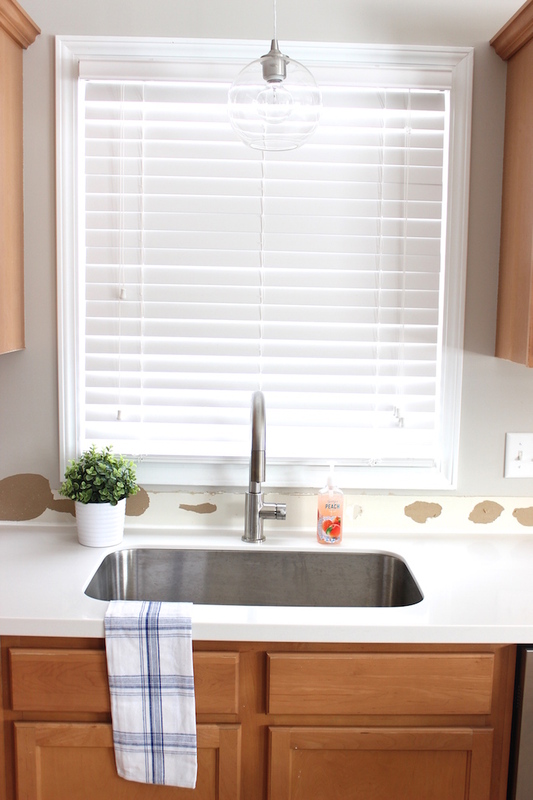 I'm so excited to being sharing with you the latest addition to our house, a new kitchen sink and faucet! I know I'm always saying how excited I am about new things around our house, but this one has me especially excited which wasn't always the case. Happy Friday!! As part of our kitchen redesign, I got to go shopping for new barstools for our breakfast bar area! I have already picked out and bought the ones that I thought would be best for our kitchen (listed below), but I thought I would share with you 20 different barstool ideas in case you are on the hunt for some new ones! Links to products are listed below the image, happy shopping!